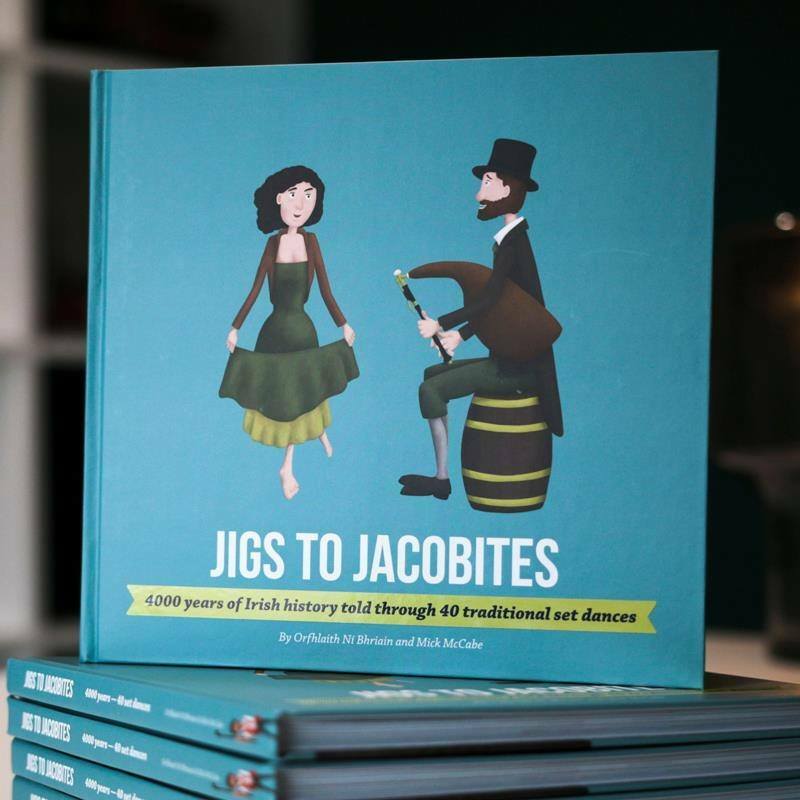 Join us at Dublin’s famous traditional music pub, The Cobblestone, for the launch of Jigs To Jacobites. Co-written by Orfhlaith Ní Bhriain and Mick McCabe, this beautifully illustrated book tells the story of 4000 years of Irish history through the lens of 40 traditional set dance tunes. The launch will feature music, song and dance taken from the 40 set dances within the book, plus a short talk on the history of some of the key set dance. This free launch event will be followed by a music session. Jigs to Jacobites will be on sale on the night. Join us for a great night.